If you are a sports fan then Star Sports is the best sport channel you can tune in to. Star Sports is an official broadcaster for all the major sporting events such as Football,English Premier League, Kabbadi, Formula 1, Tennis in India and the South Asian region. It is also the official broadcaster of all Indian cricket matches, as well as all the major cricket cups and tournaments such as Asia Cup, T20 World Cup, and many more. Star Sports is available through Hotstar website and mobile applications for Android and iOS devices. Hot Star live streaming is only available in India, and is geographically restricted outside. Besides English and Hindi, it provides its content it 7 regional and local languages such as Bengali, Gujarati, Tamil etc. South Asian cricket fans residing or travelling abroad miss exciting cricketing action. To help them, PureVPN is here for rescue. Signing up for PureVPN is quick and easy. 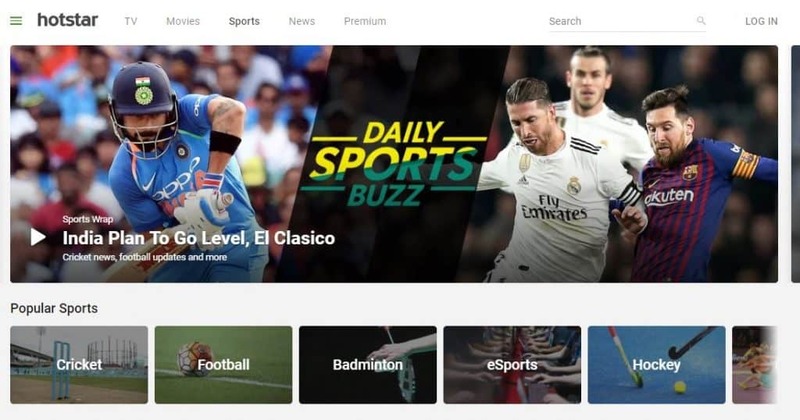 It takes just a few clicks to subscribe to the best streaming VPN service using which you can access your favorite sports matches such as English Premier League, Kabbadi, F1, and Tennis on Star Sports. Once you have subscribed to PureVPN, download the PureVPN app for your streaming device. You can get an app for your iOS or Android smartphone, or get a VPN client for your Mac or Windows PC. You can also download a browser extension for Chrome or Firefox. Log into the downloaded PureVPN app using the credentials sent to you at your email address. Connect to PureVPN and select India as your preferred location. This is because Start Sports is only available in India. When you change your location to India by connecting to an Indian server all channels which are only accessible in India, such as Star Sports, will become instantly accessible. How to Stream Star Sports from the United States(US)? Star Sports is a very popular channel that broadcasts most of the Asian sports. However, the channel is only accessible in India. If you live in the US, you will be unable to access the live stream for this channel on any website, as it is not available for access in your region. To be able to access it, you need to connect to PureVPN and select India as your preferred location. This will change your virtual location to India and make all Indian services accessible to you. If you are unable to watch on HotStar or don’t prefer it for any reason, another good option for Cricket live streaming is SonyLiv. SonyLiv is available in Indian Subcontinent only and can be access from anywhere through PureVPN. This is all for now, hope you have your solution to uninterrupted streaming. If you are an Indian or love to see the Indian cricket team in action then get your PureVPN subscription right away!